Sherry Tolman is a strong advocate for United Way who goes above and beyond to make sure the giving campaign at her workplace is successful. Her experience as a very young single mother drives her to be involved and give back to others in need. 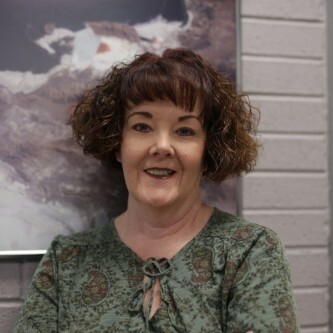 Being born and raised in Weber County, Sherry has seen United Way’s impact. “As a community member you grow up knowing about United Way.” This rang especially true in Sherry’s life when she became a single mother at a very young age. She was able to get the help that she needed to be successful from the community and now wants to reciprocate those actions. Sherry is the Site Coordinator for Compass Minerals, in Ogden. They produce salt, sulfate of potash, and magnesium chloride through solar evaporation. In its nearly 50-year history, Compass Minerals has been a strong supporter of United Way and has been participating in workplace campaigns for decades. Sherry has been working for Compass Minerals for 16 years. For 12 of those years Sherry has been responsible for conducting the workplace campaign year after year. Even though they run a 24/7 operation with employees constantly changing and coming in at different shifts, they still generate a 70-73% participation rate. This makes Compass Minerals’ one of United Way’s most successful workplace campaigns.